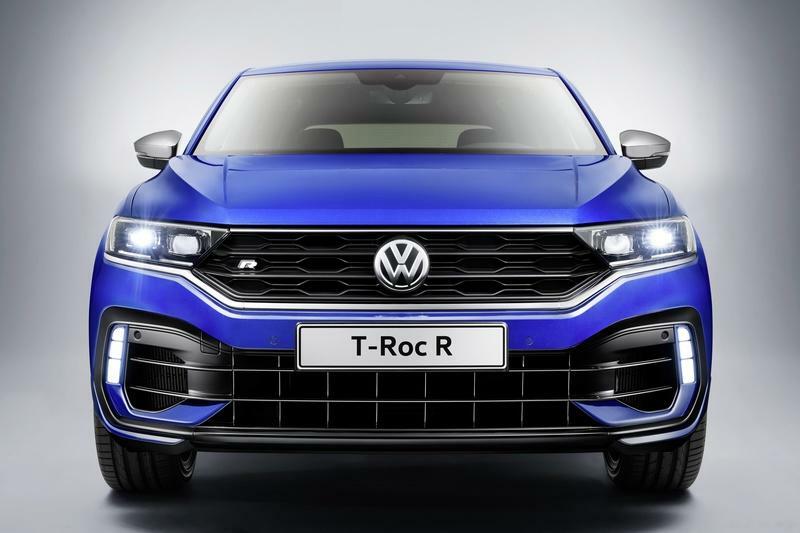 In an unprecedented invasion of performance SUVs, the Volkswagen Group introduced yet another performance crossover - the Volkswagen T-Roc R. It is basically a buffed up version of the highly sought after subcompact crossover T-Roc. Digging a bit deeper one can find a whole lot of the Golf R under its subtle body. And, that is a good thing. 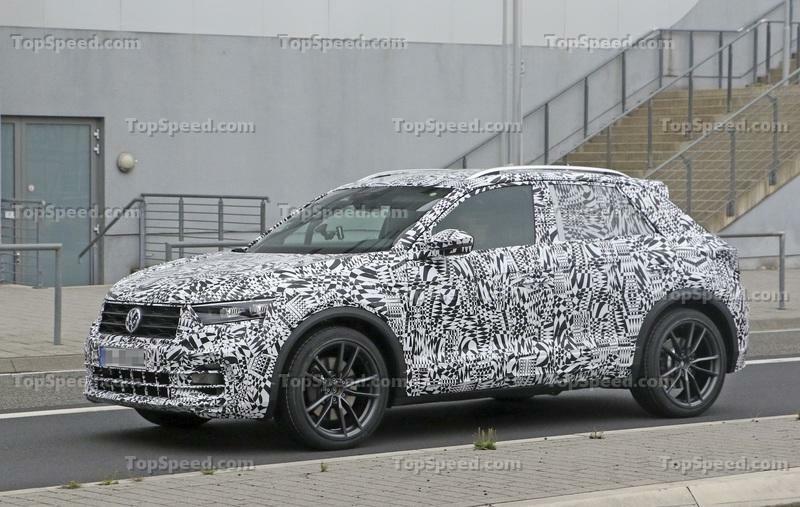 As for now, the Volkswagen T-Roc R is a near-production concept car. Yet, as is the case with the Cupra Formentor Concept, I believe it will be greenlighted for production in a few months following the 2019 Geneva International Motor Show. 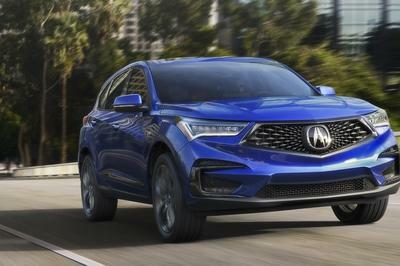 Obviously, I included here almost all performance SUVs regardless of the power output. They do target similar customers. Do you really think someone in love with the Formentor does not dream bigger - like about the SQ5? Of course they do. 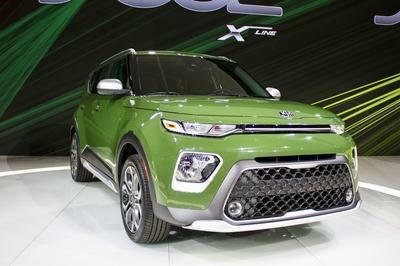 Opinions are divided on the exterior looks of the T-Roc. Some find it underwhelming, but I doubt that the hot Volkswagen T-Roc R Concept will leave that aftertaste. It is rigged with a multitude of special features never before installed on a T-Roc. 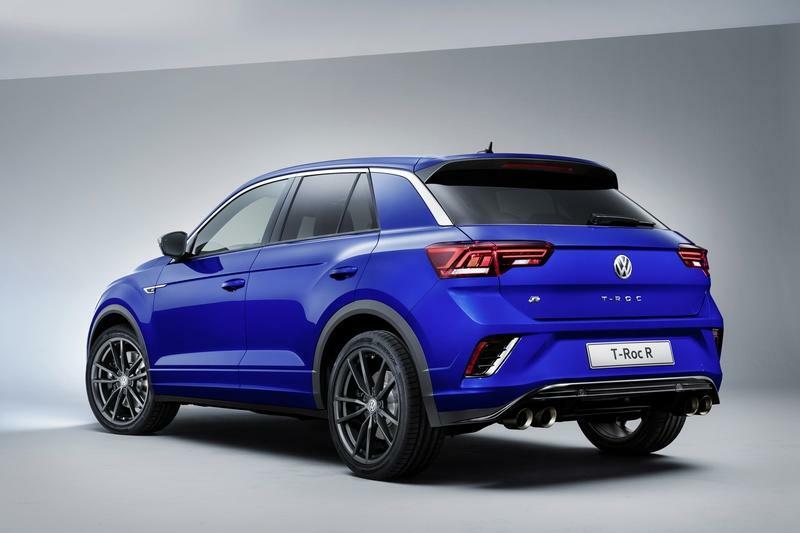 Of course, R gmbh, a dedicated hub inside Volkswagen for the creation of hotness, managed to adapt many signature R styling cues for T-Roc’s crossover body. Obviously, such profound changes comfortably made the T-Roc R (I won’t use the Concept designation anymore because concept cars do not have different color options) the best looking T-Roc to date. It is also a bit lower. I’d include this in my talk about the suspension, but lowering any car, more often than not, makes it better looking as well. The T-Roc R included.
. 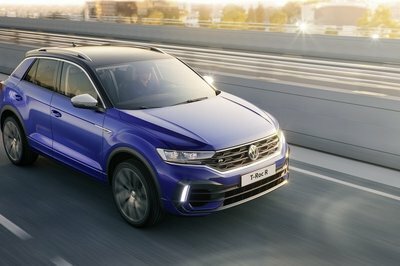 Personally, I give the T-Roc R a pass, but for the next R-branded car/SUV/whatever, I really hope that R will do something surprising and unique. I am not talking about power and performance, but about style. After all, with the N-Line cavalry from Hyundai, the TRD branded machines from Toyota, and especially bold Renault and Peugeot, the Volkswagen R has to do more than it ever did to remain at the top of this food chain. 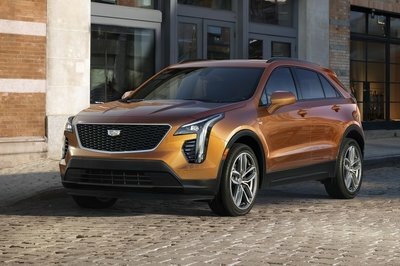 In my long voyage that includes testing hundreds of cars, I found out that manufacturers usually employ similar techniques in an effort to make more buzz about the interiors of certain vehicles. Volkswagen, thus, employed a rather simple technique to light up the cabin and differentiate the T-Roc from other vehicles. It painted parts of the inside trim blue. At least for the one that will be exhibited at the Geneva International Motor Show. I am sure that you can choose the finish of the trim inside and match it with any of the available exterior hues. Nevertheless, I find solutions like this cheap, uninspiring, and somewhat dull, because it is the same story on the regular T-Roc. As these pieces are basically slabs of plastic smashed on top of the dash, I don’t feel that it would be that expensive to create some kind of relief or intricate shapes and dedicate them to the R.
Aside from this, R gmbh did include some cool stuff in the cabin of the T-Roc R. Let me list the changes for you as I did with the exterior. All said and done, the cabin in the T-Roc R crossover does feel a tad more playful and better decorated compared to the standard version. Is it enough to give the T-Roc interior an edge that corresponds with the astounding drivetrain and performance it can achieve? I’d have to take it for a drive to give a definite answer. 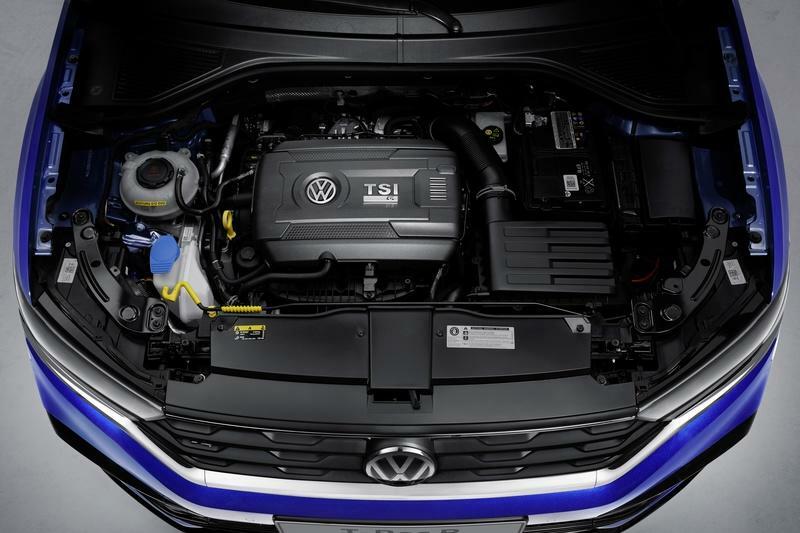 The Golf R is mad. Properly so. 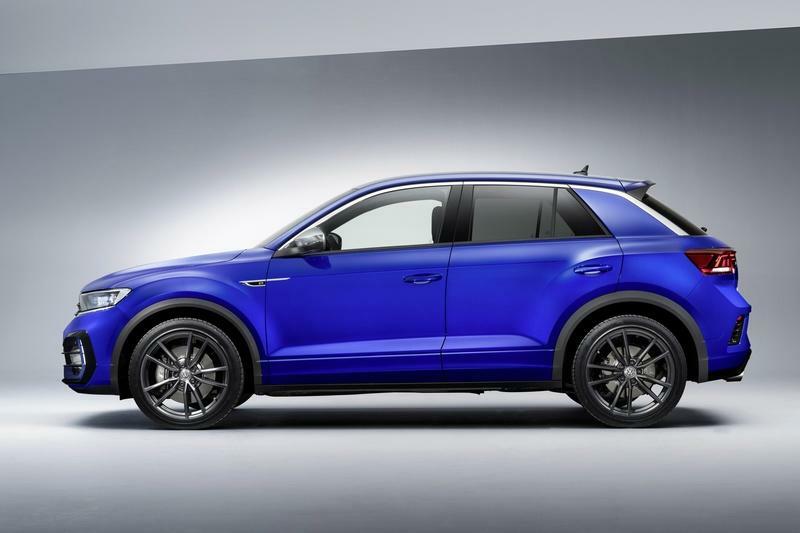 It also gave the T-Roc R all the important parts - namely, the 2.0-liter, turbocharged engine with 296 mechanical horsepower. That’s 300 in gorgeous metric terms. Add to this a seven-speed DSG dual-clutch gearbox and a 4Motion all-wheel-drive system and suddenly, I don’t freaking care about the plastic inside, fake vents in the back, or the skid plates. This crossover is fast. 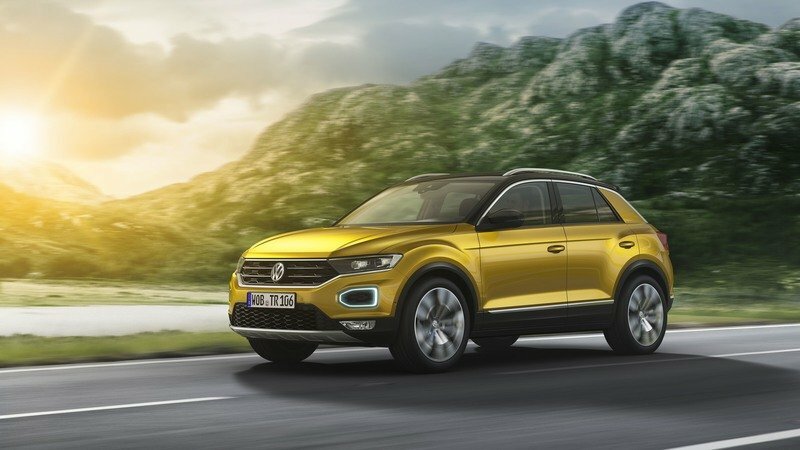 Volkswagen said the T-Roc R will crack 62 mph in 4.9 seconds and top at 155 mph. I mean, that’s quicker than the Audi SQ5 TDI that is, most likely, the best thing in terms of compact SUVs. Sure, the T-Roc is in a different segment - where cheaper vehicles reside - which makes it even more amazing in my mind. Other important changes include a retuned suspension. As I’ve noted before, the T-Roc R is a bit lower. Half of an inch or so. More importantly, the suspension is stiffer. 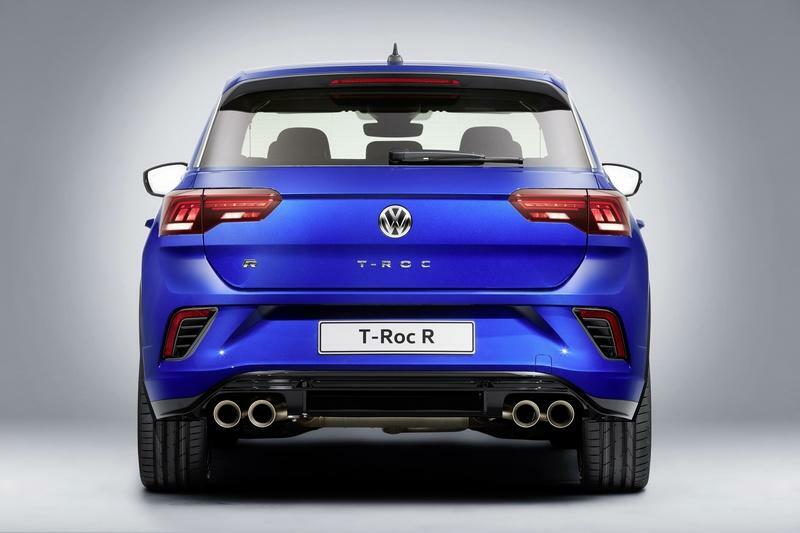 If the R went the same way as with the Golf R, the T-Roc R won’t be as prone to understeer. Plus, expect it to be leveled and capable of holding its own in high-speed bends. That’s actually where the Golf R excels. I believe the T-Roc R will too. That is actually one of the reasons why R integrated an even sharper progressive steering system. The big deal, at least in my mind, is the installation of the 17-inch brakes in the front. 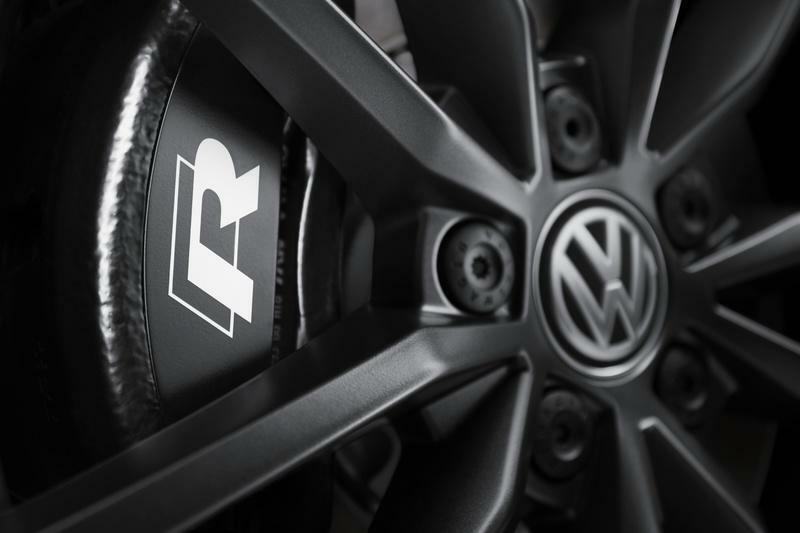 They are taken directly from the Golf R Performance giving the T-Roc R some serious stopping power. I mean, track serious. Ok, I doubt that this one will hit the track a lot, but the brakes are awesome. 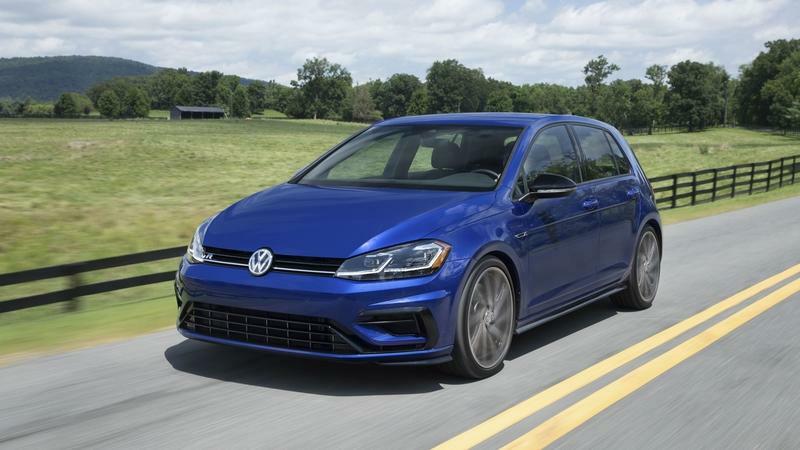 When Volkswagen introduced the Performance Pack for the Golf R, it actually offered the car with slicks and installed special brake pads in order to considerably improve the performance on the track. The T-Roc R received all of that. No wonder it has launch control and a special “Race” mode. Heck, you can even cut the Electronic Stability Control altogether. 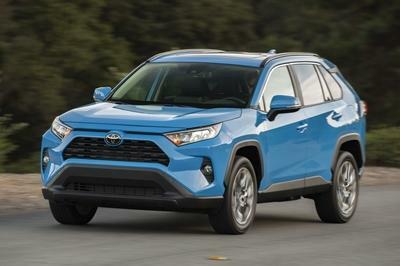 Remember, I am writing here about a subcompact crossover. Just so you don’t forget. All said and done; I can say that the T-Roc R actually received a full-fledged Golf R Performance Pack as standard. 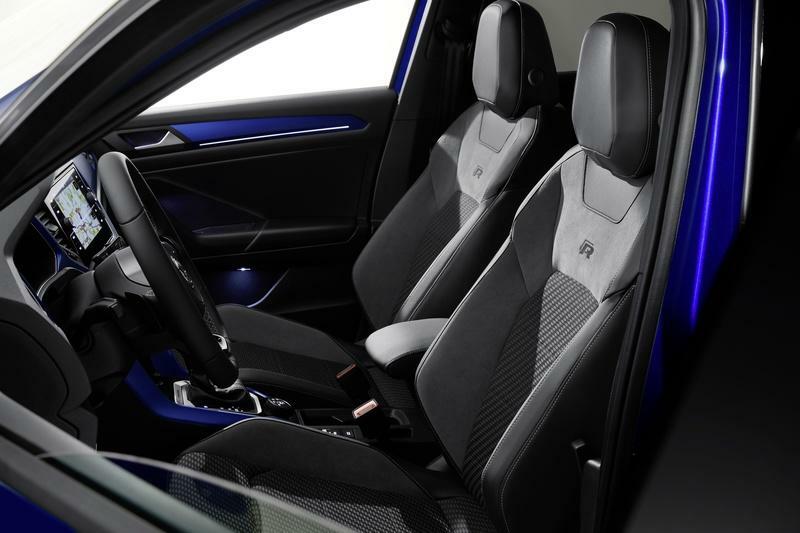 “R” introduced the Performance Pack in 2017, and it included the Akrapovic Titanium Exhaust, air curtains, sports diffuser in the back, those awesome brakes with special brake pads, and a better rear spoiler. It all landed on the Golf R Performance. Interestingly enough, the same hardware can be found on the Volkswagen T-Roc R Concept. Somehow, I am glad, and I am a bit mad about it at the same time. I am glad because the T-Roc R is, well, fantastic, but I am a bit mad because “R” didn’t actually invent anything groundbreaking and unique for it. Ok, I am focused. I love it. Read our full speculative review on the 2019 Volkswagen T-Roc R.
Read our full review on the 2018 Volkswagen Golf R.